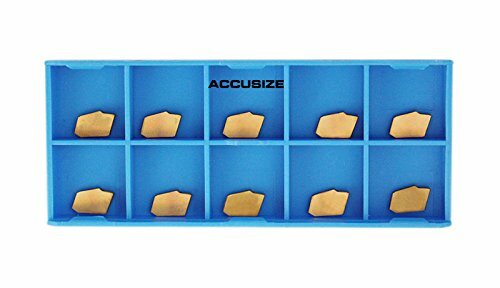 10 pcs inserts Self-Lock For cut-off and grooving, single-sided notation, TIN coated for extra strength at higher speeds. Grade C-5 is a general purpose grade for cutting all steel and stainless steels. 0 lead angle Insert#: GTN-2 Width: 0.087"
For cut-off and grooving, Single-sided notation,TIN coated for extra strength at higher speeds. 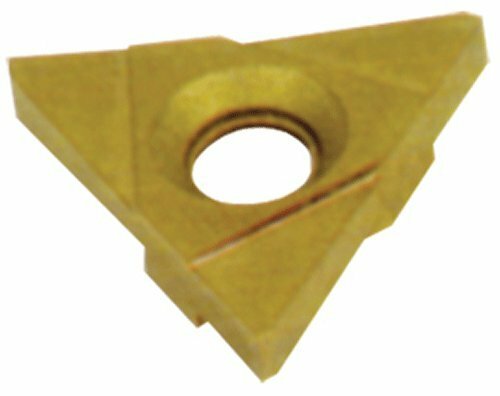 The MICRO 100 QRR-020-6 uncoated, solid carbide, retaining ring grooving tool for utilization in the Micro-Quik Change Tooling System . Designed and engineered for most machining applications that requires specific groove width(s). Tools can be utilized for both roughing and finishing. Manufactured with close tolerances to ensure ultimate precision and performance. Each tool's cutting edge/tip has a distinctive mirror like finish that significantly adds to material removal while improving surface finishes. The Micro-Quik Tooling System provides maximum centerline repeatability within plus or minus 0.0005" from tool to tool. When all of the components are used together, this unique system reduces machine setup, downtime, tooling costs, and tooling inventories all while boosting productivity. MICRO 100 Solid Carbide Tools feature more than just a micro-grain of excellent quality. Their substrate is in a class of its own resulting from exclusive treating processes that allow for vastly increased speed and feed rates. For over 45 years, MICRO 100 is a known industry leader and internationally acclaimed when it comes to solid carbide tooling. Solid carbide inserts are extremely heat resistant and used for machining steels, cast iron, nonferrous materials, and other tough-to-machine materials. Carbide inserts are commonly used at high cutting speeds for smoothing and finishing of the workpiece and can withstand higher temperatures than high speed steel. Cobra Carbide most popular cut-off face insert. Unique Top-rake design minimizes machining forces and produces controlled Coil chips at optimum speeds and feeds. Improved chip control. Greater productivity through better tool utilization . Higher metal removal rates. General purpose grade designed for cast iron and non-ferrous materials. Can also be used for machining 200 and 300 series stainless steel. 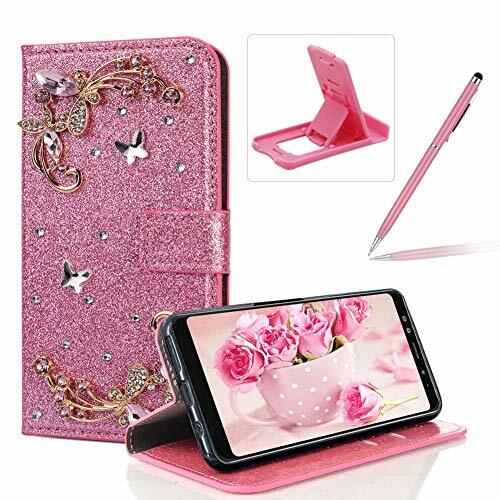 Provides excellent wear resistance. Solid carbide tools offer long tool life and faster cutting speeds than other substrates, but are more brittle and must be used with rigid toolholding systems. Uncoated tools feature just the base substrate without any additional treatment or coatings and are suitable for a wide range of applications. 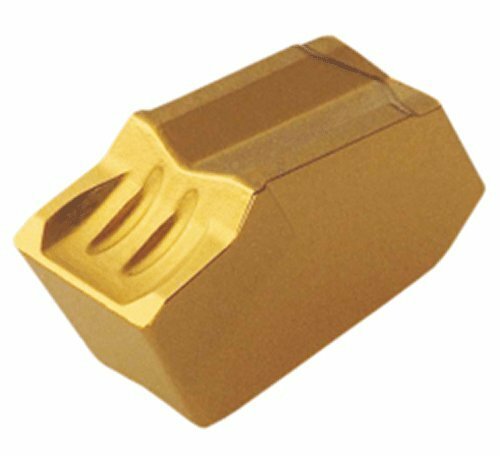 Cobra Carbide on-edge grooving insert available in TNMA style. 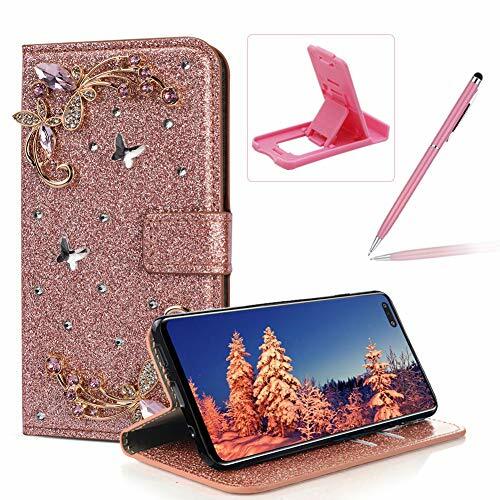 Comes with 1/8-inches. Solid carbide tools offer long tool life and faster cutting speeds than other substrates, but are more brittle and must be used with rigid toolholding systems. Multi Layer coating TiN/TiC/TiCN/TiN for turning and milling carbon and alloy steels, tools steel and stainless steel. 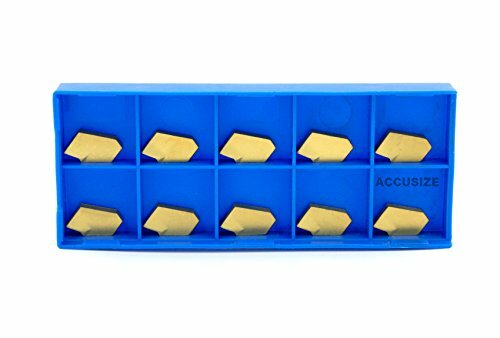 10 pcs inserts Self-Lock For cut-off and grooving, single-sided notation, TIN coated for extra strength at higher speeds. Grade C-5 is a general purpose grade for cutting all steel and stainless steels. 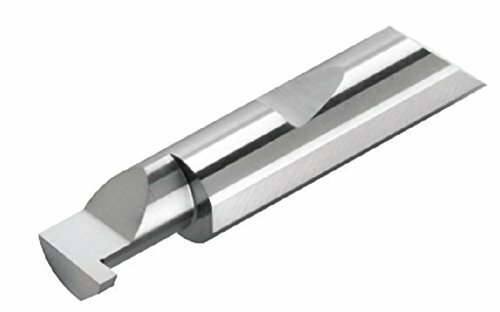 0 lead angle Insert#: GTN-4 Width: 0.160"
This Sandvik Coromant T-Max Q-Cut Circlip 151.2 grooving insert is carbide GC235 grade and has one cutting edge, a non-handed neutral cutting angle, and a 4G chipbreaker for external circlip grooving operations on stainless steel at low feeds. GC235 grade is carbide with a coating of titanium carbonitride (TiCN) and titanium nitride (TiN) applied through chemical vapor deposition (CVD) that provides toughness for shock resistance in difficult machining conditions. CVD coatings tolerate heat, long insert engagement times, and large chip thicknesses. The insert has a 4G chipbreaker with a sharp edge and low cutting force for precision circlip grooving at low feed rates. 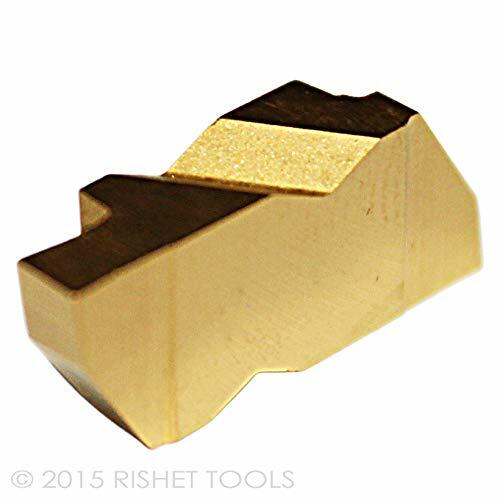 This single-edged, non-handed insert has a neutral cutting angle and a groove for clamping. Tolerance of the cutting width of the insert is + 0.005 to + 0.0035". 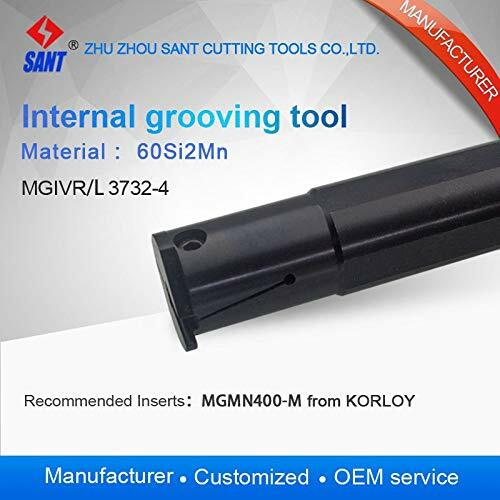 Grooving inserts are coded according to their specific cutting and application capability (e.g., N123M1-0900-0008-GM). Each section of the code represents details of the insert: hand, compatible toolholder series, seat size, number of edges, insert width, lead angle, corner radius, and chipbreaker. Generally, as the insert size becomes larger, the maximum cutting depth increases. Cutting depth influences the material removal rate, the number of cuts, and chip evacuation efficiency when using the insert. Indexable inserts are small cutting tools designed to remove material in external and internal cutting applications such as turning, milling, drilling, parting, and grooving. 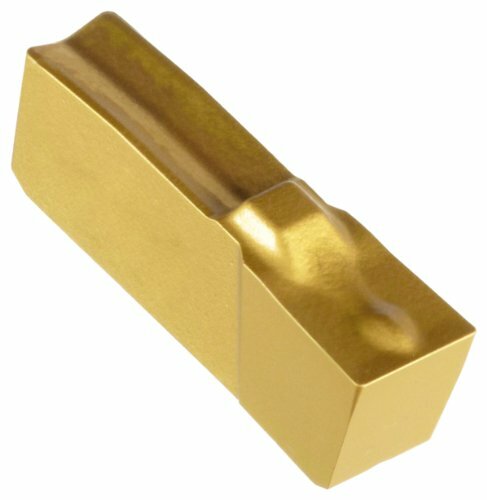 They are held by an insert holder and usually have multiple cutting edges that can be rotated when one edge wears down. Multiple inserts can accomplish a variety of cuts in one operation. Sandvik Coromant produces tools for turning, milling, and drilling. Headquartered in Sweden, the company manufactures tools used throughout the metalworking field, including the automotive and aerospace, die and mold, and general engineering industries. These inserts are used with the Sandvik Coromant T-Max Q-Cut, an indexable holding system for internal and external grooving and parting operations. The spring or screw design of the toolholder provides secure clamping. 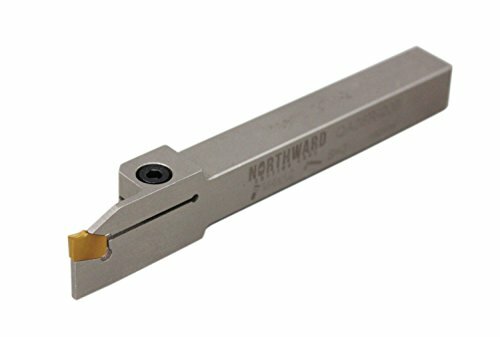 The P/N 2295 holder comes with one 55 carbide insert that has 2 cutting edges. It is held in place with a small screw. A special Torx wrench to tighten the screw is also included. Like the P/N 2250 toolpost and other three dovetailed holders, the inserted tip holder is manufactured from steel, case hardened and given a black oxide finish. Tools are neatly stored in a sturdy case that keeps them secure clean organized and easy to find. High Quality : The Unique non slip driver in the market is machined from a single piece of aluminum and cover with the Silica gel it also with a ball bearing mounted swivel top to make the work more easily. 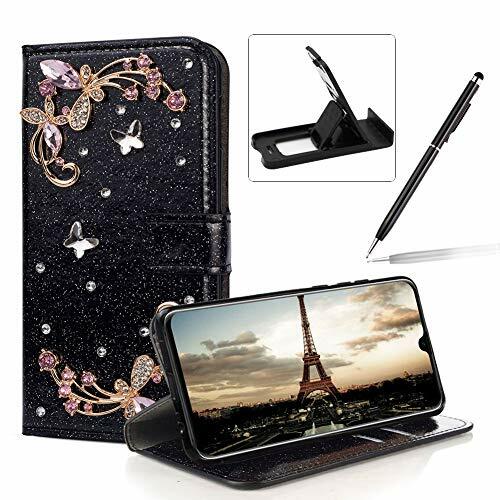 Multi-Magnetic Hand Tools : 60 in 1 Precision Screwdriver Set is Professional hand tools to repair all popular laptops phones game consoles and other electronics.